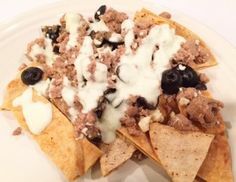 Preserving your Piggy Bank & Waistline! What is an “S Helper”? What is a “Fuel Pull” (FP)? Exciting news my THM friends! 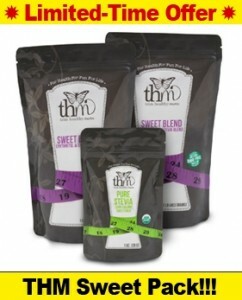 If you have yet to try the AMAZING THM Sweeteners, now is the time to buy! THM is offering a Limited-Time Offer Package of 2 bags of Sweet Blend and 1 bag of Pure Stevia for only $24.99 plus $5.95 shipping ($23.00 savings!) But hurry because the sale ends September 15th 2014! Recently introduced to these wonderful zero calorie sweeteners, I have come to the happy conclusion that they are awesome! Aside from being zero calorie, they are also Non-GMO, USDA certified organic, certified Kosher, and GMP and FDA compliant! Read more about them here! My favorite aspect of these sweeteners is the fact that they are also highly concentrated which is great news for us penny pinchers! 😉 AKA – They will last a looong time! I will be adding these sweeteners to my dessert recipes as an option so stay tuned! You can also get a good feel for how much to use by downloading this handy-dandy THM Sweetener Conversion Chart! This entry was posted in Coupons, Good Deals, THM. ← Target Clearance Plus Cartwheel = Great Savings! Great! I think you will really enjoy them! The Sweet Blend reminds me a little of Swerve but better health benefits!